Payday Wish List - Urban Outfitters. cowbiscuits | UK Lifestyle, Style and Beauty Blog. 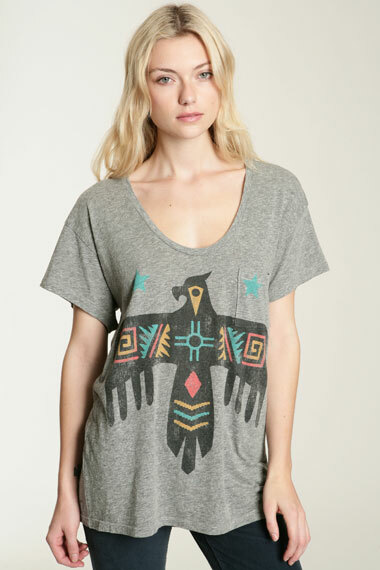 : Payday Wish List - Urban Outfitters. Always love a good wishlist post and totally love all these picks, especially the navajo t- I'm thinking of getting the white leopard cross one myself so it's good to know you think they're a good fit etc! Hope you get to buy one or two bits from the list! I know exactly what you mean about the end of the month, today I was scrabbling around in my wallet trying to summon up enough money for a packet of haribo; sadly I only had 40p. Doesn't stop me doing lots of internet window shopping though. You've found some awesome things, I love those sunglasses especially! Oh wow i love the bunny jumper! It's so cute. Such a shame it's so expensive! 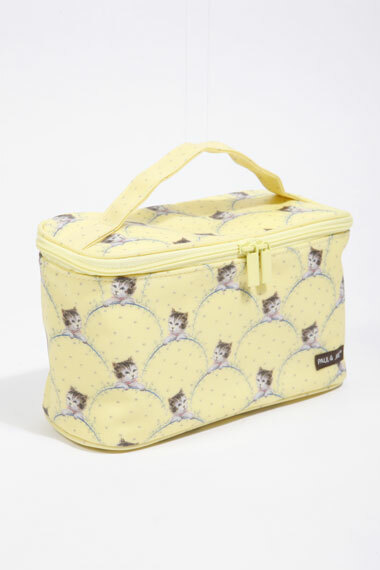 i love the bunny sweater and the makeup pouch of kittens , so kawaii . you know if u can't afford to get the bunny sweater maybe you could try to find if they have something a tiny bit similar on etsy which has good deals at times compared to the corporate chains and are handmade or vintage . or u could learn how to knit your own or make your own sweater by having a plain sweater and finding a bunny face and cutting it out to sew on it . like a diy ..
your welcome , hope u come up with a nice bunny sweater soon for yourself . thrift stores are also great for finding interesting items too . I adore the rabbit sweaters. Great picks. Unfortunately, I'm trying desperately not to spend any money so I can afford a vacation this year. and there is more available on etsy but unfortunately there wasn't a sweater similar to this one that you like . You have awesome taste! I certainly need those sunglasses. Those bad boys would look gorgeous in my collection. PETER JENSEN JUMPER - YESSS!! Just gorgeous eh? Shame about the price. oohh, I hate raiding the pennies, I have been doing it all month, 7 more days till pay day.. bring it on! And push back rent day! I want the rabbit jumper! Desperately! At the moment I'm really hankering after a Paul & Joe pressed powder compact. Too expensive though. The cosmetic bag is a beauty. great wishlist, love the necklace & hollywood tee! Great selection, I absolutely adoooore the first three picks. 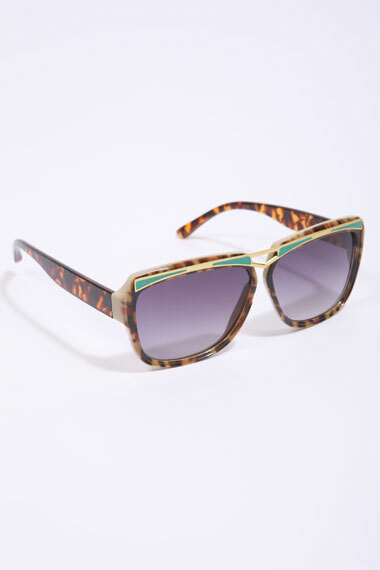 I NEED those sunglasses badly! i love the rabbit sweater! too cute. love your blog name. I do this too and unfortunately I haven't learnt the art of saying no and having enough for food! The Peter Jensen jumper is amazing but I agree that it is a tad on the expensive side so definitely go for the tee. 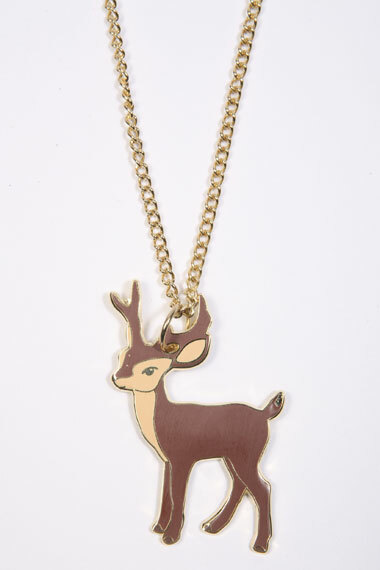 That bambi necklace is so adorable! 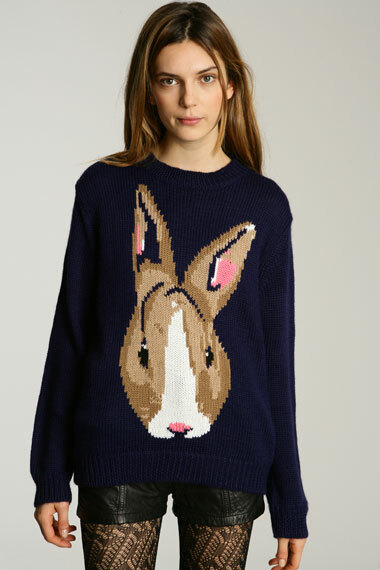 The rabbit jumper is just too cute-Love it! I love the sunglasses and Hollywood tee. that is now on my payday wish list!